Using simple rustic bathroom décor, you can easily transform your current bath into a friendly room that looks like a total redo. Consider changing out a few things like the lighting fixtures, mirror and the shower curtain to transform your bathroom into an almost new one! 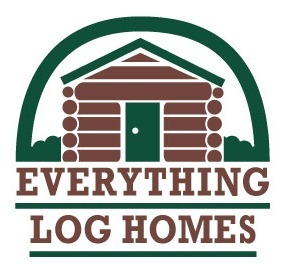 You’ve spent months planning your new log home or finding one that is already built. You’ve moved into it, and you expected it to be cozy and comfortable. But something’s wrong! Too often log home owners forget to put the icing on the cake. They overlook the fact that it’s the little touches that make a house a home. And they make an empty house magically turn into a warm and cozy home. I see a lot of log homes and I’ve noticed that many owners miss a great opportunity. They could easily and inexpensively give their home character and appeal. But they leave the walls barren and table tops empty. In the bathroom, for example, a pretty shower curtain takes center stage. You can build the rest of the room around it. 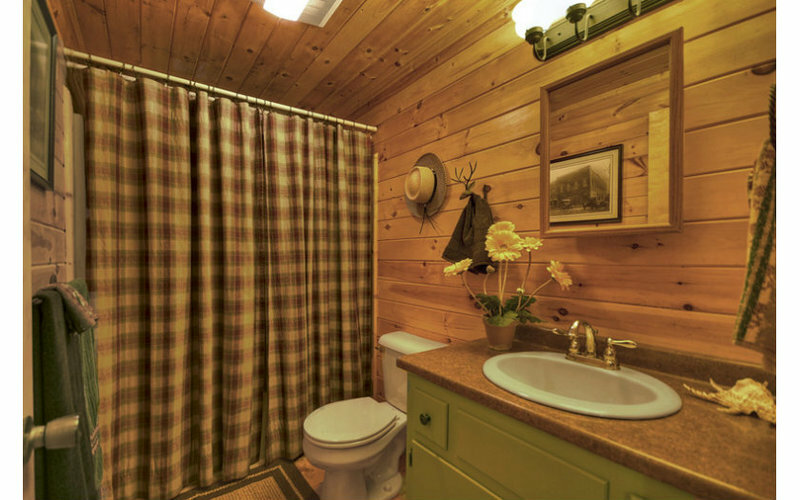 Choosing rustic shower curtains for your log home bathroom décor is fun. But quality rustic curtains for the bath can be a bit difficult to find. 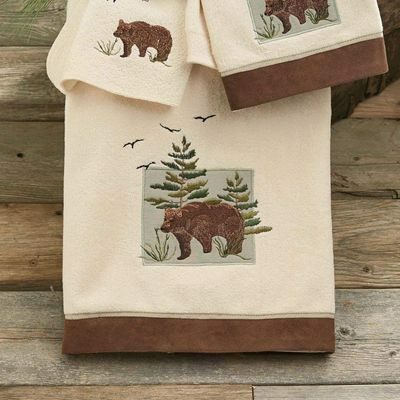 When we were looking for a country shower curtain that would look good in the bathroom of our timber frame home, we had a difficult time finding one that we really liked. The trick is finding a shower curtain that you like but one that is also good quality. And then you need to add bath accessories that complement the motifs and colors in your shower curtain. So, when you are looking for shower curtains, keep in mind that your curtain will be the home furnishing in your bath that first draws the eye. It will be the center of attention in your country cabin bath! Choose a theme that you really like and then build the rest of the room around it. 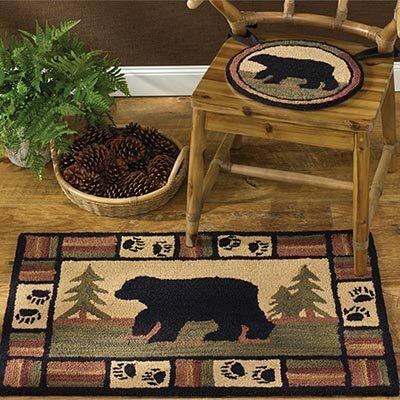 For example, black bears are quite popular for rustic home decorating. 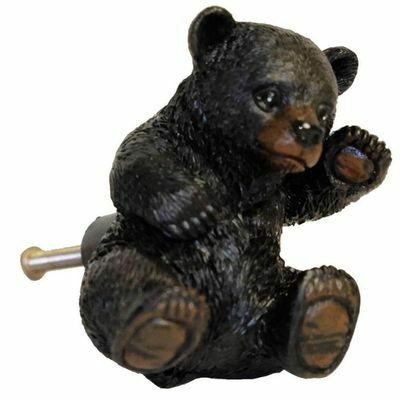 If you choose a wildlife or bear theme, make sure you add some bears in your home accessories. Does that mean that you can’t have any other animal or motif in your room? Absolutely not! 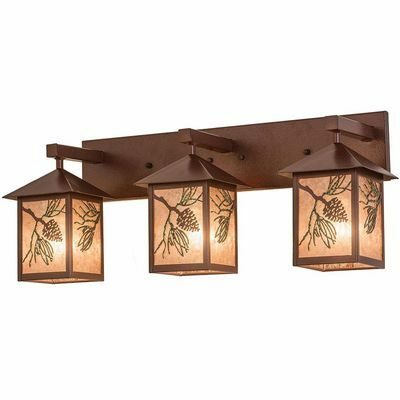 In rustic decorating, you can mix and match a bit. Add some pine cones, an antique looking metal sign, a rustic print or picture, other wildlife or animals and a few pine trees to create the rustic look that you want. 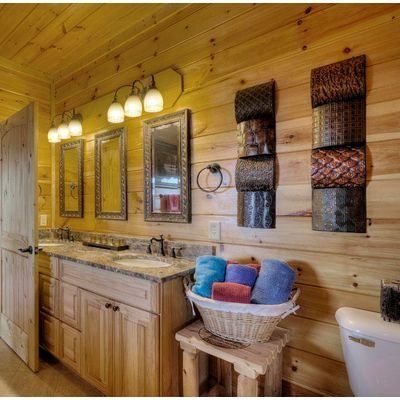 Remember that you are decorating YOUR bathroom in your log or timber home—and your rustic décor should reflect the things that YOU love! Rustic shower curtain hooks complete the look in your rustic bathroom, and give your bath the finishing touch. While your shower curtain is the most important accessory for your bath, the shower hooks can really set it off. Like the icing on a cake! How do you choose the right ones? Choose rustic shower curtain hooks that match or complement your shower curtain. Then, when you have established your bath décor theme, add a few bath accessories to complete the look. A very simple way to have an extraordinary bathroom makeover—for an inexpensive price! 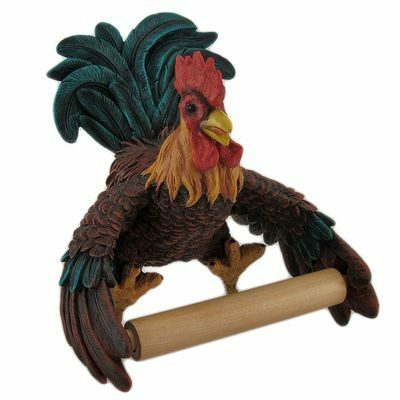 Novelty shower curtain hooks are often cute, and they can be anything from horses or cowboys to dolphins or seashells—depending on your theme and shower curtain. Since these little hooks achieve a place of prominence in your bath, choose them carefully to make sure that they serve as accents, but they don’t grab all the attention themselves. 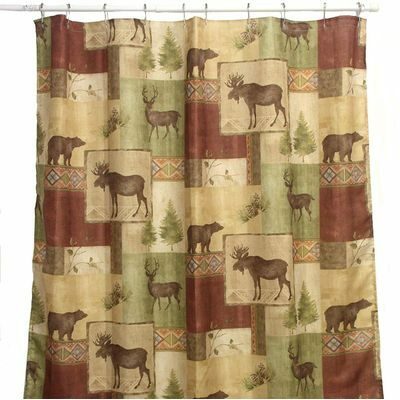 Rustic shower curtain hooks can play a large part in setting the scene for relaxing and fun, in your rustic bath. 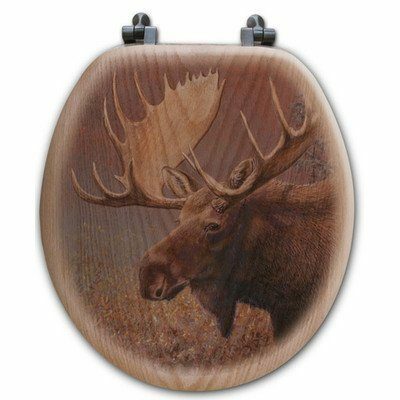 Unlike plain shower curtain rings, decorator rustic shower curtain hooks give your log cabin or lodge bathroom a custom design look! And they are so affordable, that you can hardly afford to overlook them! Shower curtain hooks are such a simple thing, but they can have a huge impact on your decorating, if you choose the right ones.